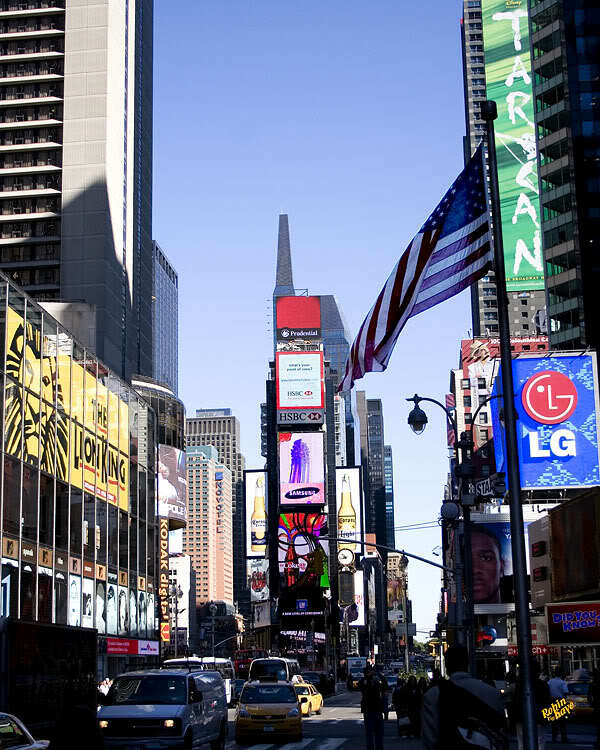 I always like Times Square images...everything is so busy. I think I would have liked you to get and little more street level and in front of the flag...it's a bit distracting. I didn't get there when I was in NYC...wanted to though. The flag is the main focal point of this image. I have more time square images that have more of Times Square in them. I will upload soon. And yes it is very busy. I could stand and watch people go by for hours and not be bored. This says New York to me. The hustle, the bustle, the traffic and the garish advertising all go to make this a super picture.